Using social media strategically as part of your event can be the difference between whether your event is successful or not. But that success doesn’t come from broadcasting out a few tweets here and there encouraging people to buy tickets. There’s actually much more too it, but the good news is that it doesn’t need to be complicated. In fact, keeping it simple is probably best. Here are 13 top tips for using social media at events for you to incorporate into your next event. You should create an alphanumeric hashtag that is clearly identifiable as your event. In choosing your event hashtag, make sure that its not being used for anything you don’t want your event associated with. Also, where possible, try not to choose anything too long, as it will eat into the character limits on Twitter, making it less likely that it will be used by your event attendees. You can brand your hashtag with a year, but it really isn’t necessary. 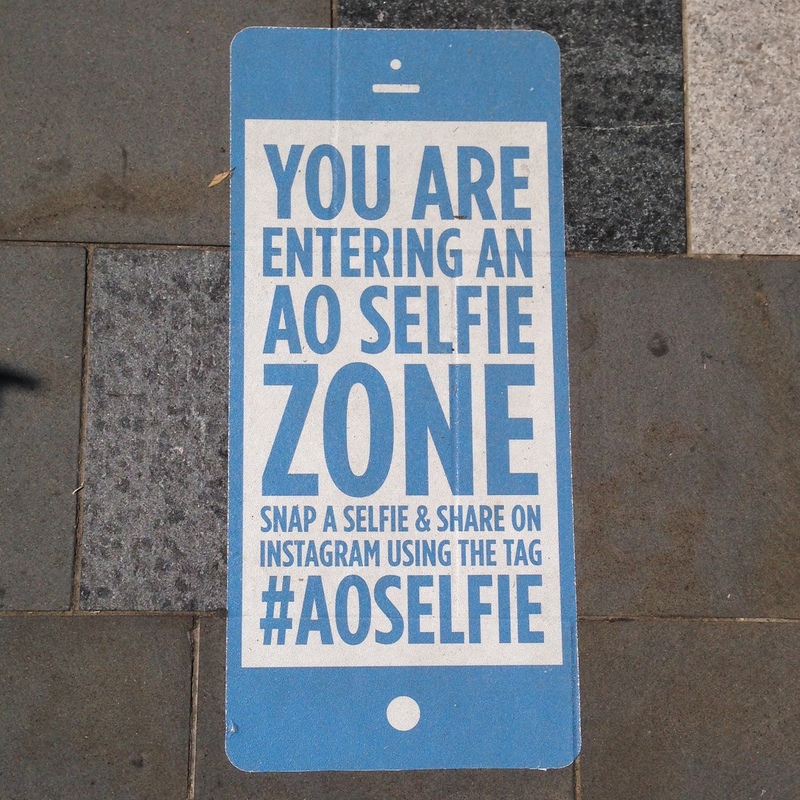 In most cases, its probably better that you don’t so that you can re-use signage from year-to-year, as well as demonstrate a history of engagement around your event from previous years when people go searching for your hashtag. In order to encourage other people to use your event hashtag, you need to promote it – big time! For hashtags to be successful, they need to be embraced and used by your community on social media. Social media is a noisy world at the best of times. This can become even more so during event time. Algorithms on platforms like Facebook and Instagram and the unfiltered flow of content on Twitter mean that the each individual piece of content that you post to social media will be seen by only a small portion of your audience. Algorithms give preferential treatment to content being posted by friends over that being posted by businesses, making posts by other people talking about your event highly valuable. Having other people sharing positive stories about your event provides an element of social proof, with a more authentic and trusted voice than when you share stories about how good your event is. 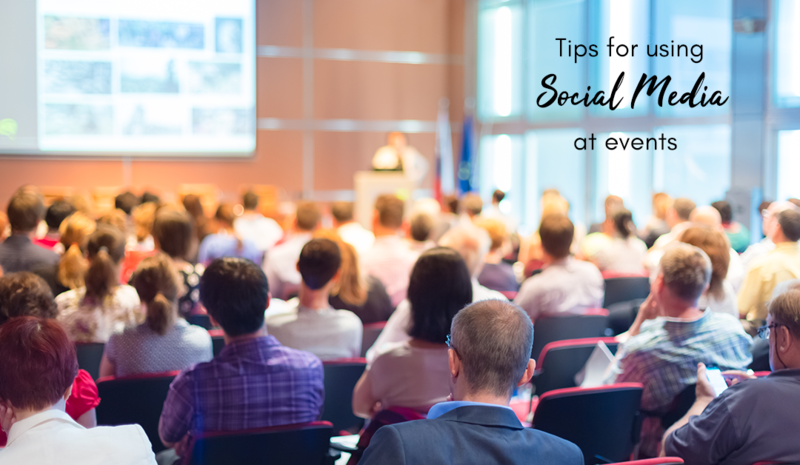 Depending upon what type of event you are running, you should consider using either a Facebook Group, Facebook Event Page, LinkedIn Group and/or Twitter Lists as tools to help you connect people coming to your event, as well as communicate some of the finer details about the event in the lead up to the event. As well as helping to generate buzz and tap into people’s #FOMO, these tools can help foster a sense of community around your event, allowing people to establish relationships well before the event even starts. It’s these relationships that go from online to #IRL that can help ensure that your event creates a lasting impression long after the event has ended. The events I have loved the most over the years are those where I have met awesome people who have gone onto become great friends. It’s your role to create the environment that will allow that to happen! You want to make your events what I like to call “Instagramable”. That means purposefully creating spaces that compel people to take photos and social share. And we are off. #BusinessAddicts LIVE! is live! Include references to your event hashtags within these areas, as well as signage encouraging people to social share their experiences. You should position these visual props in highly trafficked areas, ensuring there is sufficient natural lighting so that even the most amateur smartphone user can take a decent photo. Don’t make your visual props too big. It’s important that people are able to take photos of your props in their entirety. You want to reward your social champions for helping to spread the word about your event. You can do that in the lead up to your event to help generate buzz and drive ticket sales. During your event to generate further buzz and engagement. As well as after your event to extend the engagement around your event and assist with the promotion of future events. Make use of your event sponsors and other resources you may have available to you at the event to offer as valuable prizes that would be relevant to your event attendees. They did this at Stadium Stomp in 2016, getting people to post a photo from the event to Instagram, using the event hashtag (#stadiumstomp) as well as the sponsor’s event hashtag (#stepfit) for a chance to win a FitBit. I won a $500 Red Balloon voucher from one of the event sponsors at the Small Business Big Marketing event in 2015 for posting the tweet that received the most Likes. Check this out. I won a $500 @redballoonexperiences voucher at the #SmallBizFestVic today. Sooooooo super excited!!! Even just the chance of seeing their image appear on the big screen can be incentive enough for someone to take a pic and share it on Instagram using your hashtag. I used an event hashtag and streamed that to a TagBoard at my 40th birthday party and it created a massive social buzz around the event, both for those in attendance and those that couldn’t make it who were following along at home. You can use screens around your venue to showcase the content that people are sharing related to your event. Sharing an unfiltered stream can be a risky option, so where possible, you should choose tools that will allow you to moderate and curate the content you are highlighting in this manner. Every event attracts some form of influencers and influencer marketing is a powerful strategy that you should tap into to help promote your events. These could be your “known influencers” that your event attendees are coming to see, such as sportspeople, musicians, actors, your keynote speakers or other VIP’s you have invited to attend. Or they could be “unknown influencers”, in the form of people your event itself attracts as attendees. These might be celebrities or other people who are influential within your industry or niche. For “known influencers” who are part of your event, you can make social support a requirements of their involvement. For example, you could make it a contractual requirement that they share content about your event in the lead up to and during your event. If doing so, you should make this as easy as possible for them by providing them with the relevant copy, images, hashtags and handles for inclusion in their social sharing, where appropriate. In most cases, your influencers will have a significant online reach, often making them far more valuable than the impressions and eyeballs you purchase through Google Adwords or a highly targeted Facebook Advertising campaign. Where this is the case, it is worthwhile taking the time in advance of your event to discuss with those influencers how you can work together to develop a true win/win/win partnership around your event. You want the content they share on social media to be a win for your event, the influencer and the influencer’s audience. The more your event influencers can be talking about your event in the lead up, the more it will instil #FOMO in their audience, further encouraging them to take the necessary actions to make sure that they will be at your event. Getting other people to share your content is a great way to gain reach for your event into new audiences. But most people won’t do so without encouragement and they definitely won’t do it if you make it too hard for them to do so. Include social sharing buttons on all online promotional material about the event, such as “click-to-tweet or a social sharing plugin. Including a list of “friends” who have already purchased tickets to the event (Eventbrite does this well). Include social sharing buttons after people register, announcing they have purchased a ticket and inviting their friends to join them (again, Eventbrite does this well). Creating a Facebook Event that people can invite their friends to attend. Posting event hashtag watermarked images that people can easily re-share. Create “I’m attending” image badges that people can use to promote on social media the fact they are attending your event. Create a page on your website containing pre-populated content that they can easily share on social media and send a link to this page to all event attendees. Send an email to your event attendees encouraging them to use your hashtag as a way to connect with other event attendees. Create a Snapchat On-demand Geofilter for your event. Making it easy as possible for people to share your content via social media also includes providing high-quality free wi-fi for your event attendees to use. Public wi-fi at events (particularly in Australia – don’t get me started about the NBN) is often an issue, particularly when people use the free wi-fi to live stream. Making sure there is adequate infrastructure, having a policy around what constitutes “fair use” of your event wi-fi and then communicating those expectations to your event attendees are all ways to reduce the chances of your wi-fi connection being maxed out at all time. For those of us that love to social share at events, event supplied charging stations (or at least loads of publicly available power points) are another feature that makes us feel like we are being looked after and rewarded for the advocacy we are doing on behalf of the event. It’s these little differences that can make the world of difference to some. Securing event sponsors and partners is not the easiest thing to do these days. To make your event stand out as a worthwhile investment, you need to be able to offer more than a few drinks in a corporate box and signage. You should include a social media component to these packages that not only includes what social sharing you will do for them, but also what you expect of them, so that it is win/win for both sides of the partnership. To decrease the workload during the event, the details of the content you are due to share on social media for sponsors and partners during your event period should be agreed in advance. Pre-scheduling this type of content (where possible) is one way to ensure that those commitments are not overlooked in the heat of the event. As a minimum, you should be keeping track of this throughout the event to ensure you adhere to your side of the agreement. In addition to this, your event sponsors and partners should be encouraged to do their own event specific social media promotions to further leverage their involvement with the event. Where the content you wish to share as part of your event is known in advance of the event, try to create as much of that it as possible in advance of the event. For example, at a conference, you may have received the slides from your presenters in advance of their presentations. With their permission, you can make some of the key slides into images and have them ready to share when they get to that part of their presentation. Similarly, if you know that certain announcements need to be made at particular times, you can create that content in advance and possibly even pre-schedule some of it to go out at the appropriate times. However, where this is being done, it is important that you are super vigilant and ready to cancel or re-schedule pre-scheduled content if there are disruptions to the program. Tools such as Hootsuite, Sprout Social and Edgar can be used to assist with scheduling content in advance. Engaging visuals can be created using Canva, Relay or Wordswag. Those images can be stored in Dropbox or a Google Drive for access when required. You should also start posting about the event well in advance. How long in advance will depend on the event, but don’t expect to succeed if the first post about your event occurs when the doors to your event open on Day One. The launch of ticket sales. Speaker line-up or special guests in attendance. Transport options to your venue. Tips for getting the most out of your event. Social activities around the event. If you want to live longer than the duration of your event, then don’t try to be a social media hero by trying to manage all the social media around your event on your own. AND definitely don’t try to be the Event Social Media Manager, at the same time as performing other key event duties. For most large events, there will be the need for an around-the-clock commitment to social media for the at least duration of your event, but sometimes in the lead up and after as well, particularly if your event is a virtual event that includes international participants or one that attracts international interest. This will require shifts being allocated, as well as a clear division of responsibilities within each of those shifts. These can be tracked using tools as simple as a Google Sheet, where people highlight their shift in the timetable to indicate that is has been completed. If multiple social media platforms are being used as part of your event, then you should ideally have at least one person responsible for each platform you are creating content for and/or monitoring. Having said that, don’t feel that you need to be everywhere. Setup a presence where the majority of your audience are active online. If you only have a capacity to post to one channel, then so be it. But you will need to make sure that you are also monitoring the other channels where your event is being discussed also. 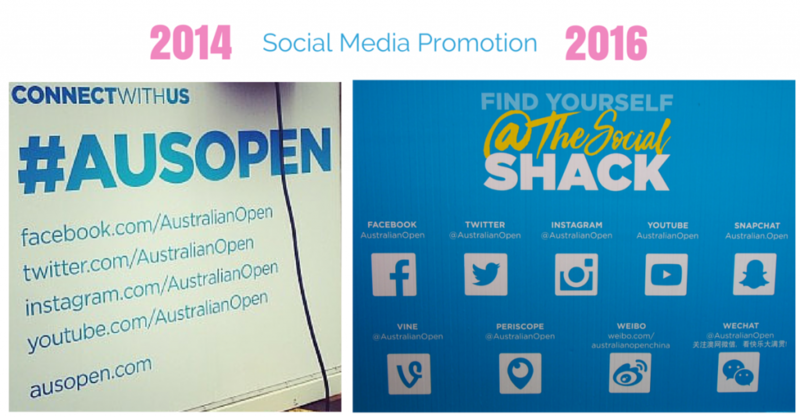 You can always grow your presence from event to event as the need arises, as can be seen by the above images taken at the Australian Open in 2014 and 2015. Depending on the physical size of your event or the number of event activities going on at once, you may also require people be present and responsible for capturing content in different locations. For example, at a conference you may have one person assigned to each room who is capturing “Tweetable” quotes from the speaker as they are happening or you may have someone “around-the-grounds” at sporting events taking photos that will later accompany the results when they are due to be posted. Be mindful of the types of images you are taking and where possible, tell the people being photographed that they are for use on social media and get their permission from the people captured in your photos. An image release form will further protect you and should definitely be used when minors are being featured in your photographs. Where there are multiple people contributing content for social sharing via your official event channels, there needs to be a system in place to ensure that there is some sort of editorial control around the quality of the content that is going out, as well as the frequency of your posting. Having your team feed content into some sort of content repository that can be drawn upon by the main posting team is one way to achieve this. You can use simple tools like WhatsApp or Slack to streamline this type of content sharing within the team. You will require a mission control centre for your event. This is where your key social media team members will reside for most of the time during the event. This physical space should have access to live feeds of all of all aspects of the event for them to be able to monitor to ensure that they are fully across the event. It is important that your social team are equipped so that they are one of the first to find out the information that needs to be (or is being) communicated about the event, both the good and the not so good. Live footage of the event(s) in action. Local news (if it is a big event that is likely to get news coverage). Activity around any event Hashtags. Mentions of the event using the event social media handles. Mentions of any event related keywords. Direct messages to any of the event social media accounts. The home feed of content already posted to social media. These dashboards should include all social media platforms being used around the event, not just the ones where the event has setup a social media presence. Tools such as Hootsuite, Sprout Social and AgoraPulse all provide dashboards that can assist you with monitoring and responding to conversations across multiple platforms. Where an all-in-one social media monitoring dashboard is not feasible or possible, then the event team can still respond to the above activity within the social media platforms themselves. To ensure no important social media engagements are missed, a schedule for checking each platform should be established, alongside appropriate notifications within each of the the platforms being monitored. In addition to this, you should establish appropriate response times that your team should adhere to. Actual response times should be monitored and where resources are insufficient for minimum standards to be met, additional resources should be allocated (where possible). There also needs to be a chain of command within the social media team, as well as a decision making framework, particularly regarding when online activity may need to be escalated beyond the social media team. This is particularly important for events where there is a high likelihood of some sort of social media crisis breaking out online. It’s imperative that you don’t just broadcast your messages. You must engage with your community as well. Engaging with you attendees during your event through social media enhances their experience, as well as helping your event reach a much wider audience. This means “Liking” other people’s content about your event, responding to comments and re-sharing the really good stuff. This should be done before, during and after your event. Most people get a real kick out of seeing that the event team has acknowledged their social commentary and will usually respond by sharing more positive content around your event as a result of your engagement. So get Liking! Setting up a special social channel for customer support is another option. 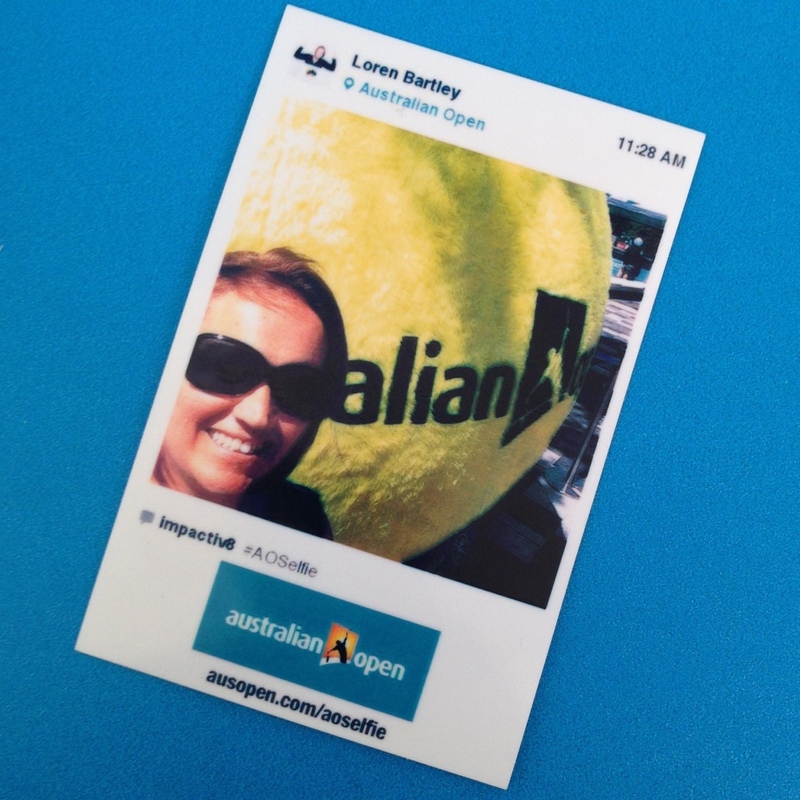 At the Australian Open they encourage event goers to use the #AOHelp hashtag if they are in need of assistance and this channel is monitored as a priority to ensure assistance is provided in a timely manner, rather than getting lost amongst the sheer volume of content that is being shared using the main #AusOpen hashtag. I am not talking about going live with your event here. Instead I mean broadcasting live within your event. If done well, live broadcasting during your event can be a great way to broaden your reach beyond attendees, showcasing your event to those that couldn’t make it “this time” so that they can get a sneak peak into what they are missing out on and become more likely to want to come to your next event as a result. Facebook and Twitter (via Periscope) provide the ability to live broadcast. Facebook live video streaming content outperforms all other Facebook content. It generates ten times more reach than pre-recorded native video and 100 times more reach than non-video content. There are some considerations around live broadcasting though. Firstly, you don’t want to be devaluing the price of your ticket by broadcasting the whole event live to those that didn’t purchase. You also shouldn’t let the person broadcasting the event detract from the experiences of those in attendance. I have had someone muscle in, stand in front of me and block my view (at an event I paid my hard earned cash to attend) so that they could broadcast the event to their audience – that’s not cool! Also, you need to be mindful of the broadcast rights of the event itself. For some events the broadcasting rights may be 100% locked down. Where this is the case, not only do you need to refrain from live broadcasting, but you also need to both communicate this to your event attendees and also monitor to ensure that they are not doing so. “Behind the scenes” live broadcasting is often best. This is where you can share an experience that most ticket holders wouldn’t even get to see. This then ads value to both your paid attendees, who might be watching (during or after the event), as well as your social followers. Touring the event before the doors open. Interviewing some of the key people from your event. Going behind the scenes to show what goes into running the event. Broadcasting a small part of the event from a unique angle. Letting one of your event influencers takeover your account and live broadcast their experience of your event. When the event is over, it’s time to push through the RSI pain in your thumbs and generate your social media reports from the event. You should do this ASAP, as accessing the data becomes difficult (or impossible) on some platforms if you leave it to long, particularly if you are using free tools. Social engagement reports across all platforms. Social engagement reports specifically for event sponsors and partners. Compile any content generated during the event that can be used to promote future events. Lessons learnt from the event (what worked and what didn’t). A social media team debrief whilst everything is fresh will help you best understand how you can improve the use of social media at your next event. What have I left out? Share your top tips for using social media at events in the comments below. This post has been co-authored with Charlotte James. Charlotte is a digital communications specialist who has provided social media strategy and on-the-ground social media management for a range of events including the Australian Open, Australian Formula 1 Grand Prix, Rabobank Leadership Awards, Kookai Australia Collection launches, Ovarian Cancer Australia Consumer Forums, Wimbledon, the US Open and Roland Garros. Charlotte’s social media agency provides bespoke digital and communications services to a range of sports and corporate clients, charities, celebrities and small businesses, and she loves nothing better than immersing herself and her team in other people’s social media business!